St. Patrick’s Day is on Sunday, do you have your green menu ready? 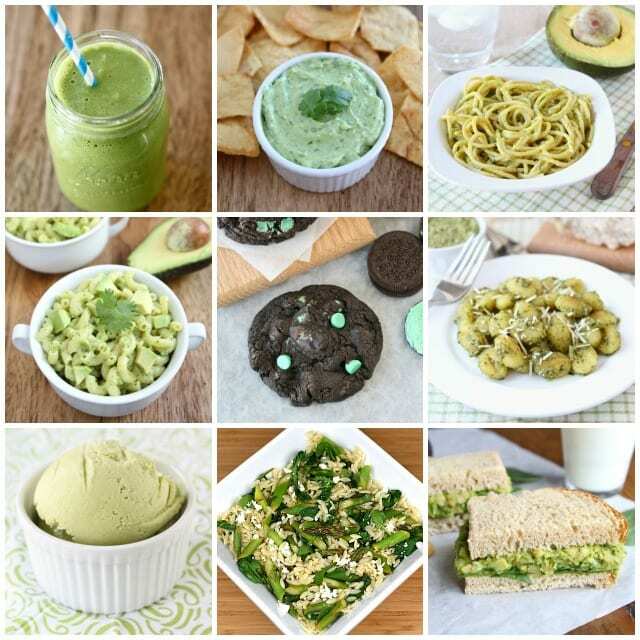 We’ve shared a few fun green recipes this week-Avocado Feta Dip, Chocolate Mint Icebox Cupcakes, and we have a few more green favorites at the end of this post. We are also sharing, a dreamy Chocolate Mint Brownie Milkshake. I love brownies, especially with a scoop of chocolate mint ice cream on top. 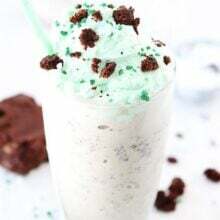 I decided to blend chocolate mint chip ice cream and brownies together to create one divine shake! This recipe is super easy and a fun one for St. Patrick’s Day. All you need is chocolate mint chip ice cream, brownies, milk, and whipped cream for finishing the shake. We also added a little green food coloring to the whipped cream and some fun green and white sprinkles. This shake can be made in minutes and is the perfect finale to your St. Patrick’s Day menu. And if you are looking for other green recipes, here are a few of our favorites. 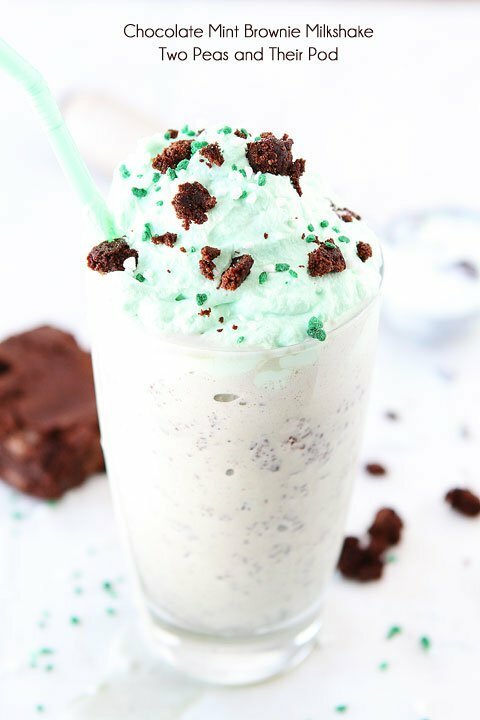 This chocolate mint brownie milkshake is the perfect treat for St. Patrick's Day or any day! In blender combine the milk, ice cream, and brownie. Blend until smooth. Pour into glass and garnish with whipped cream. You can dye the whipped cream with green food coloring if you wish. Garnish with sprinkles and brownie chunks, if desired. Serve immediately. Note-if you like a thinner shake, you can add more milk. Your shake looks amazing and so do all of your St. Patty’s Day recipes! Have a wonderful and fun weekend!! It was very bad for me to see this today… BEFORE I go grocery shopping. And worse yet, my son adores MCC ice cream. So many great green things! Yum! 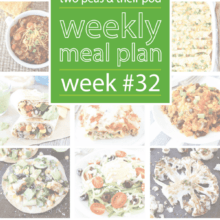 Loving all your green recipes! My kids would love one of these, especially my youngest – mint chocolate chip is one of his favorite flavors of ice cream. Happy St. Patrick’s Day! WOW! Does that looks good! I need to make these today! So festive and it looks delicious! 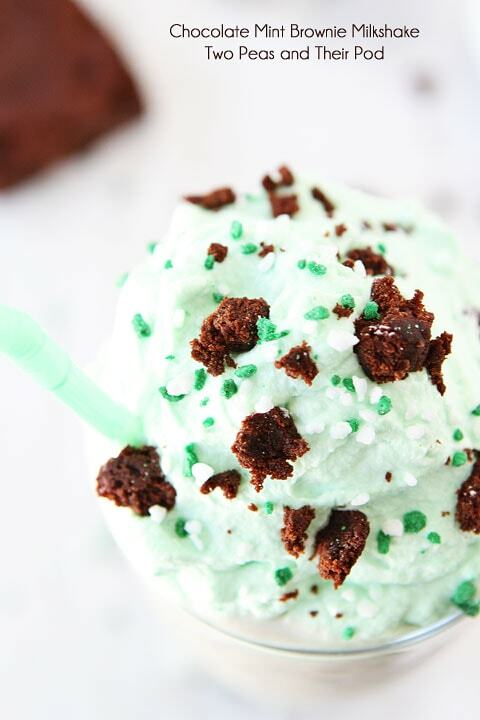 Now this cool and minty treat would certainly hit the spot on St. Patrick’s Day! look at all your festive green recipes today Maria. 🙂 Love them all! I need to make that edamame guac ASAP. Haha–Love all that GREEN! This looks completely irresistible! I feel like I can taste the mint and brownie already! This is the perfect mint treat for this weekend! Fabulous milkshake. We have been having an awesome time posting green this week too. Have a happy St Patty’s day! Milkshake perfection!! I want to dive right in!! Yum! I have never thought to brownie in a milkshake. I bet it is wonderful! So many tasty green recipes! 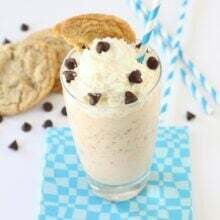 This shake looks wonderful! “Your milkshake brings all the boys to the yard”, sorry I just couldn’t help it. 😉 Looks delicious, M! Oh my goodness gracious this looks so good! I wish I could have one right this very minute! The crispy gnocchi with basil pesto sounds divine! Yum!! Love all of these green minty recipes. This shake looks soo delicious I could almost taste it right now! Wow that looks almost too good to drink! Perfect ending for my St. Patrick’s Day dinner! That’s my kind of simple dessert. It’s got to be mint chocolate something for me on St. Patty’s Day. 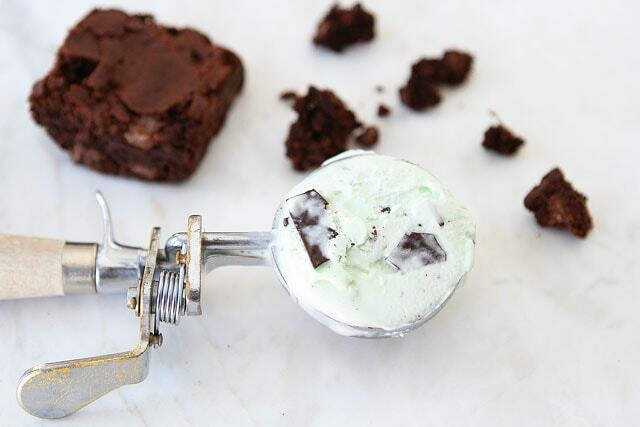 There’s nothing like brownies and mint chocolate ice cream! Way better than the Shamrock shake! So much yummy green food! I can hardly take it. And these milkshakes…I’ll be downing one after my half marathon on Sunday! I’m loving this fun green post! We’re on a road trip today & I’m now in the mood to stop for a Shamrock Shake! If this isn’t the best, I don’t know what is. 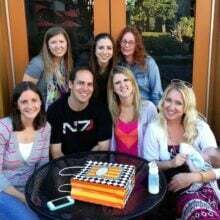 Thanks for sharing a great treat! Maria, you’re a genius! I love all of these! 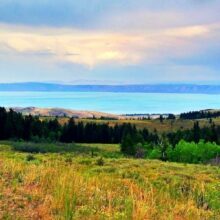 I Love looking at all of your stuff on your blog! Way to many things I want try on here! Don’t care that St. Patt’s day is over – I could drink this all year long! I’ve learn a few excellent stuff here. Certainly value bookmarking for revisiting. I wonder how so much effort you place to make this type of great informative web site. mm I love your mint chocolate chip brownie shake DELICIOUS!! !